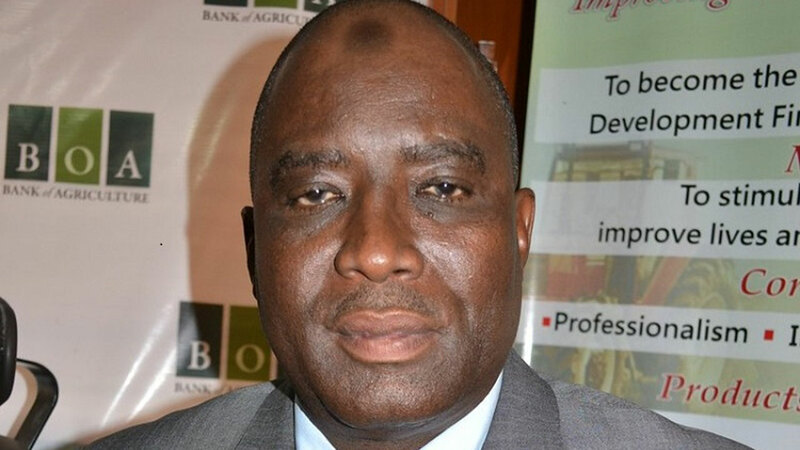 The Federal Government yesterday kicked off a process to privatise the equity of Bank of Agriculture (BoA) with government agencies owning 40 per cent of the equity share of the bank and the private sector, farmers owning 60 per cent share of the bank. Under the soon to be restructured bank, the Central Bank of Nigeria (CBN) equity would be reduced to 20 per cent, the Federal Ministry of Finance equity pegged at 20 per cent, private sector investors would own about 20 per cent share while farmers and farmers’ co-operatives would own 40 per cent equity share. Director-General of the Bureau of Public Enterprise (BPE), Alex Okoro, who disclosed this yesterday in Abuja during a meeting with the management of the BoA on its way forward, said 60 per cent equity share of the bank would be owned by the private sector which makes it a private sector bank. He said shares of the bank would eventually be listed on the stock exchange such that the banks would subscribe to strict governance rules and regulations of a privately-managed institution. Also, Okoro said that N250 billion capital base of the bank was still subject to the size of the hold of the negative equity that exists in the BoA before it can be brought to the level of expected positive capitalisation for the bank. He said by the time the bank is listed on stock exchange, farmers’ groups and co-operatives would be encouraged to be among the shareholders so that they can have a sense of ownership of the bank and also ensure they don’t jeopardise the ownership of bank. The BPE director-general explained that following the approval of the National Council on Privatization on Friday, April 12, 2019, the kick-off meeting was to formally execute the agreement and also introduce the transaction advisers, Lead Way Consortium, to key stakeholders, including the Federal Ministry of Agriculture, Federal Ministry of Finance, BoA and CBN. He said the scope of the Lead Capital Consortium is to review the financial due diligence of the bank, implementation of restructuring programme and the recapitalisation of BoA, adding that the assignment was expected to be concluded within the period of 90 calendar days. Okoro disclosed that in three months time, the bank would be restructured, recapitalised and properly positioned to provide low credit to small holders and commercial farmers and small and medium scale entrepreneurs. Meanwhile, Minister of Agriculture and Rural Development, Audu Ogbeh, who expressed optimism that the bank after recapitalisation would be a large a bank that will ensure farmers access loans easily, said: “We have a new vision for agriculture here, we want to create the farmers’ bank and we want all of you to pass the good news to farmers that this is their chance to become co-members and owners of the bank. It has a chance of becoming a very large bank in the future, just like the one in China.